In 2017 we predicted HR trends like implementing learning and development programs, measuring diversity and inclusion, employer brand strategy, and more. Every year brings new and exciting challenges to HR teams, and we’re here to support you through each one. 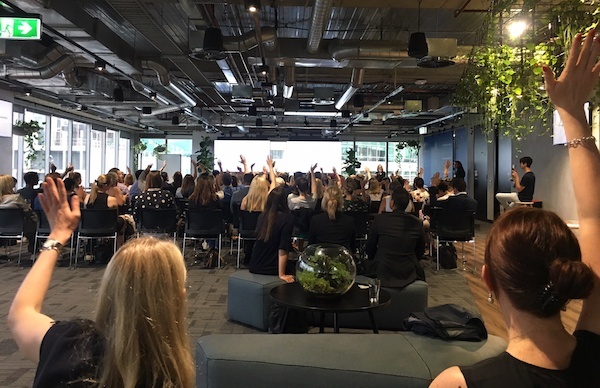 At our last Geekup of 2017 in Sydney, Australia, Kelly Kirby of Atlassian, Megan Bromley of HotelsCombined, Jennifer Mumford of SafetyCulture and Jason McPherson of Culture Amp, shared their views on HR trends for 2018. What HR trends are top of mind for these people geeks? As Kelly Kirby, Global HR Business Partner at Atlassian points out, diversity and inclusion is not just a tech industry issue, and it goes deeper than visible demographics. So how does the global tech giant approach diversity? Atlassian has had amazing success in increasing the rate of gender diversity for interns and graduates, and is also making strong progress with female technical hires. 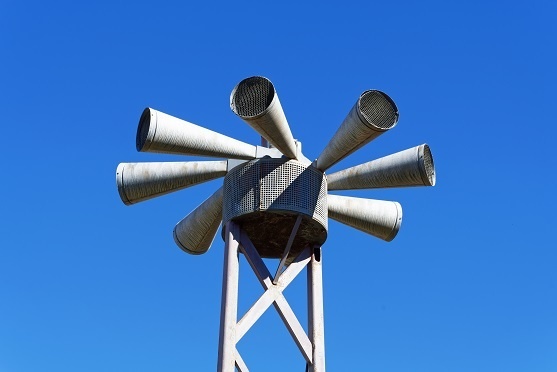 Atlassian’s approach is evolving to a scalable consulting model, where the Atlassian D&I principles are being woven through all of the HR programs that are being built and delivered, instead of only focusing on building specific D&I programs. “We want people to feel like they belong, that they can bring their full self to work, contributing and developing in areas that are meaningful to them. So alongside the focus on diversity, we are looking at it from an angle of ‘growth’. We will be looking at what motivates and fulfills individuals and how they can bring that into play in the organisation,” says Kelly. Another example of the scale of change occurring in this space is SafetyCulture’s persona for their 2020 product vision, ‘Sophisticated Sophie.’ Sophisticated Sophie is who the company predicts will be the key decision-maker in 2020, insight-driven, tech-savvy, performance-focused and female. So how you treat your remote workers is part of the diversity and inclusiveness of your organization, where balancing the feelings and needs of all employee types, through effective communication is the secret sauce. HotelsCombined has offices in Bangkok, Barcelona, Dubai, London, Seoul, Sydney, Taiwan, Tokyo and remote teams working in the US and across Europe. When trying to coordinate deep dive sessions, sprint planning / reviews, team meetings and more across multiple time zones, employees use various communication channels, such as Slack, Skype, GoToMeeting or Wiki and they create moments of one-on-one connection for teams at MeetUps whenever they can. Knowing your people has always been important in the corporate world, but too often it's limited to the snapshot of an employee's an annual review. In 2017, performance reviews saw a bit of a shake up, with more companies moving towards a culture of ongoing feedback. SafetyCulture is also introducing OKRs (Objectives and Key Results) to drive focus throughout the business as they rapidly scale. 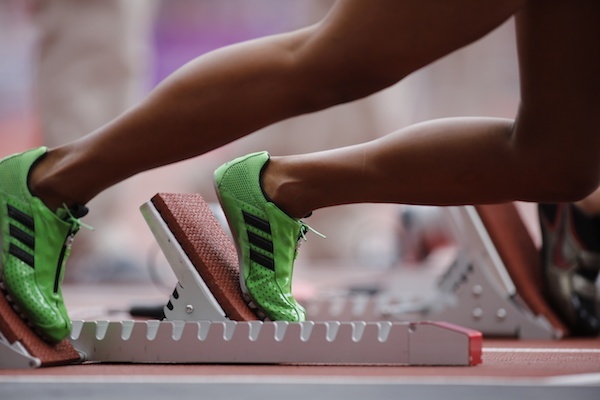 This will be coupled with performance snapshots and effective 1:1s to build a culture of Radical Candor, encouraging in the moment feedback, as well as providing visibility of performance and areas for development. At HotelsCombined, where OKRs and similar corporate acronyms are not the norm, Megan sees a big opportunity in the concept of ongoing real-time feedback. “Each team will have their own approach to find the rhythm of the conversations that they want to have. Across the whole company, we really just want to make sure that people feel aligned to our strategic focuses,” she says. 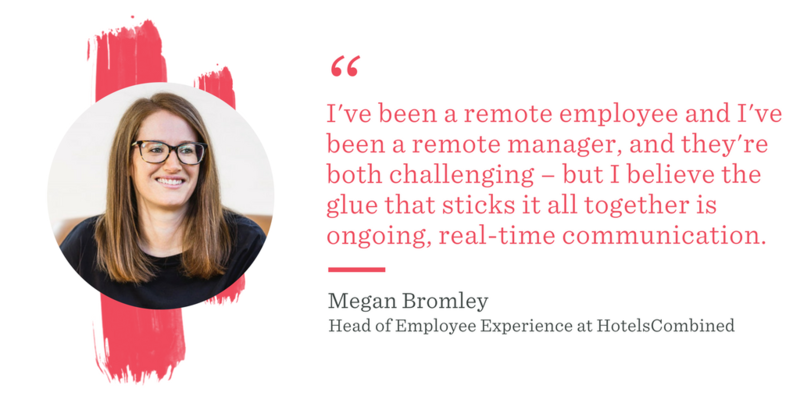 Megan argues that annual reviews are often what you make of them, and that for fast-moving companies, they offer a much needed opportunity to breathe and reflect. Groundwork laid during the year through regular ongoing conversations and feedback is vital to making any review (annual or otherwise) effective. “If you can enable a strengths-based learning culture where you help people to be the best versions of themselves, I think that's where annual reviews have more power and people actually want to turn up for those conversations. 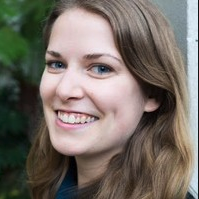 And if we can stop focusing on people’s weaknesses and trying to fix them… just imagine the possibility of what the world of work could become,” says Megan. 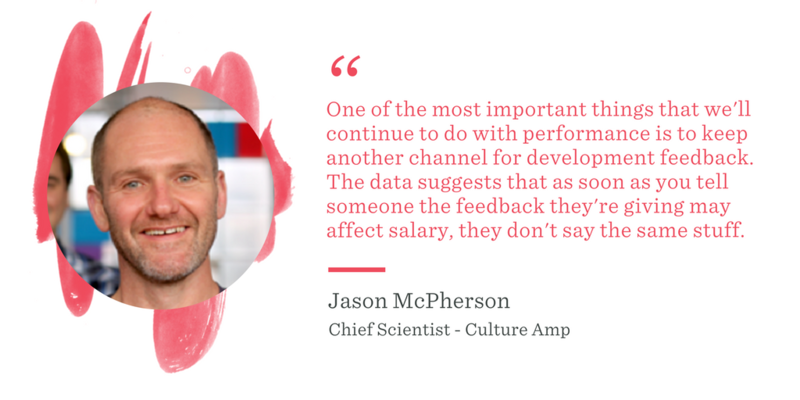 And if you're worried that the salary side of annual performance reviews may be holding your team back, Jason McPherson confirms your suspicions. 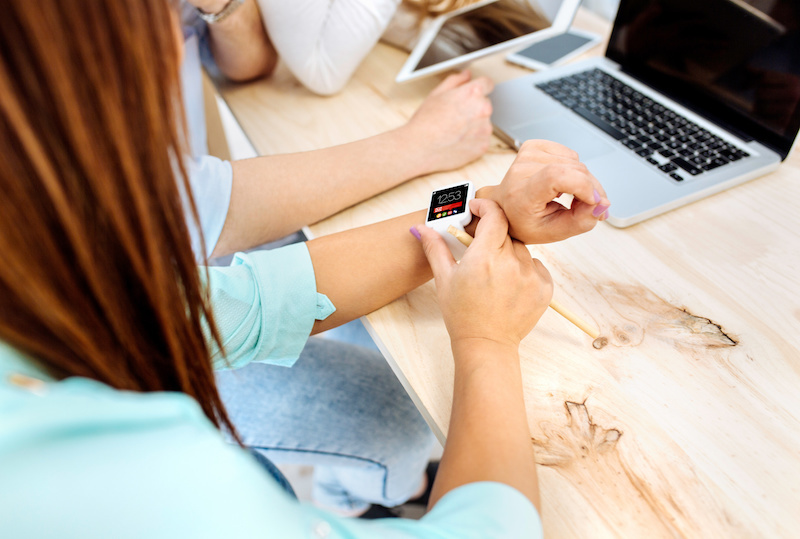 HR leaders are relying more than ever on technology to assist in the everyday aspects of the job (think payroll, benefits, and hiring - the HR stack). But with diversity and inclusion, remote workers, and a culture of feedback to foster, there’s a lot still to juggle. This year, Atlassian’s HR team plans to bring together the data of various sources, from engagement, people leader feedback, surveys, new hire, 90-day and hiring manager surveys to attrition and exit feedback, and working to create a system that allows for a better insight into the holistic organisational health of Atlassian. When Jason McPherson asked the People Geek crowd, by a show of hands, who felt pressure from leadership to manage data and gain insights from that data, the Sydney audience confirmed what we have seen in the U.S. (and no doubt you have, too). “There's a lot of pressure on people to not just use data – data doesn't change anything itself – but to apply insights you gain from it. Sometimes people find things that don't match what they're expecting and that can create a lot of friction. There’s always a conversation starter within your data,” he shares. 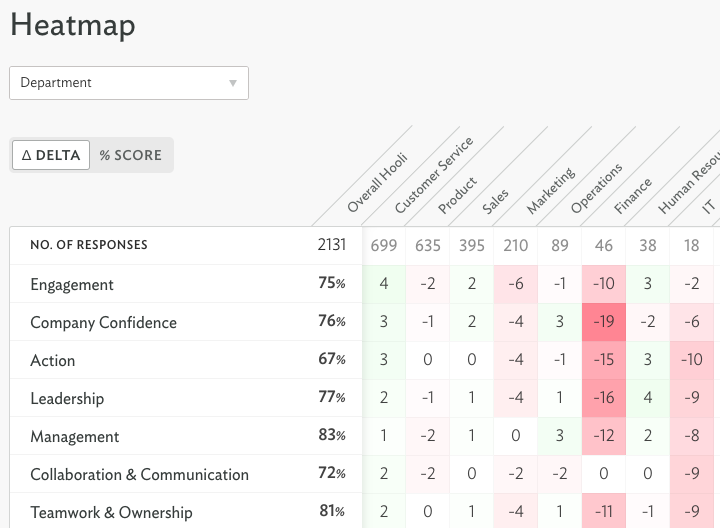 If you’re looking for a platform that allows you to collect, understand and act on employee feedback, Culture Amp is the tool for you. Schedule a demo with one of our People Geeks to kick off 2018.